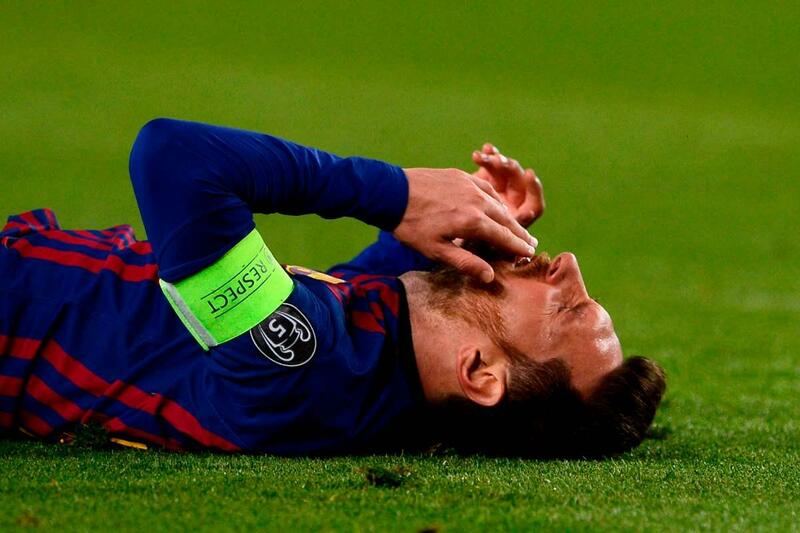 Lionel Messi has been playing through the pain barrier since December. The five-time Ballon d’Or winner has an injury management plan in place for a groin injury which will alert Manchester United ahead of their huge Champions League tie with Barcelona in April. Messi made the revelation in an interview with Argentinian radio station 94.7 while on international duty. The 31-year-old played 90 minutes in Argentina’s 3-1 defeat to Venezuela but returned to Barcelona early ahead of his country’s victory against Morocco on Tuesday. He said: “It has become the custom to say things about me. He added: “The truth is I came back to the Argentina team with a pubis (groin) injury that I have been carrying since December and I have been training less and not playing all games. “Pubis injuries are complicated; you cannot shake them off from one day to the next. Responding to questions on why he did not play both Argentina games, Messi was clear. He said: “I wanted to play both games with Argentina but after the first game I had some pain and I decided to rest so as not to aggravate the injury. Ernesto Valverde backed up his star after he returned to the Nou Camp early. Valverde said: “We think it’s OK but he has been coping with these issues for a long time. “We were taking care of it before Christmas and we have tried to make the pain subside and we will continue doing it now he has a few days of rest. “We do everything naturally, we talk to him after suffering a little problem in training and we do everything together. Despite the injury scare, Messi is back in full training and is expected to return to first-team action this weekend in Barca’s local derby with Espanyol.